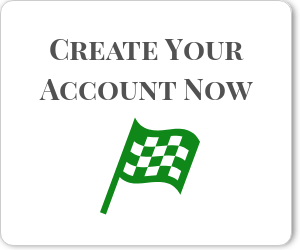 Create An Account To Test Our Services For Free Now! You can purchase bulk credits with one time payments. Bulk credits never expire. You can use them whenever you want. 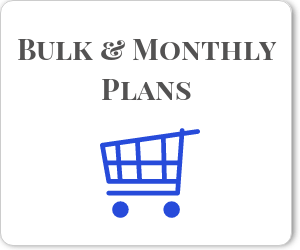 You can subscribe to one of our monthly plans. Monthly credits cost less and they are valid for one month. We have checked the prices of our competition. It remains shocking how awfully expensive they are. 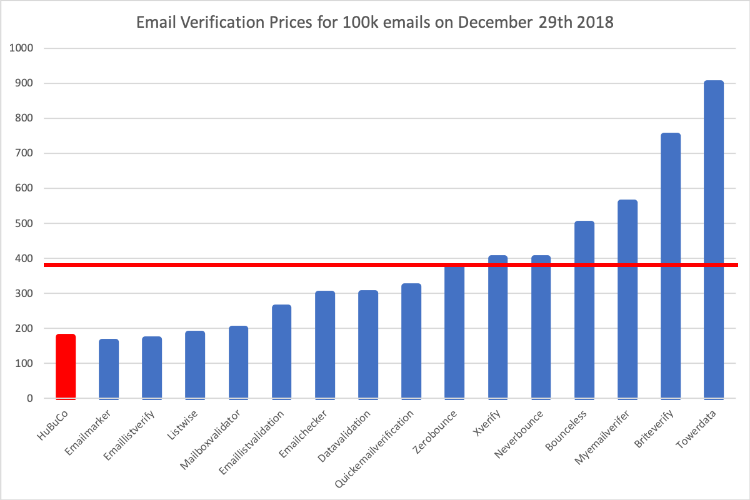 Based on the prices displayed on 15 randomly selected email verification websites you are better off by $209 with us if you verify 100,000 emails. 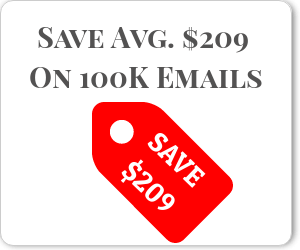 HuBuCo charges only $175 USD for 100,000 bulk email credits while the average of our competition charges $384 USD. The more credits you purchase(d) the more discount you get. The discount updates following every single purchase (including monthly subscriptions). 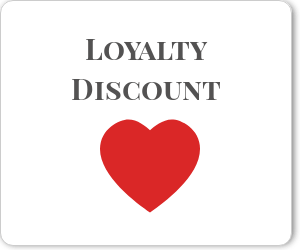 You can get a up to 50% loyalty discount. The discount is automatically applied for both bulk credits and monthly subscriptions.